Microsoft Visio® , a powerful drawing software equipped with all comprehensive Office suites for architects, engineers, project managers to create flowcharts, floor plans, etc. 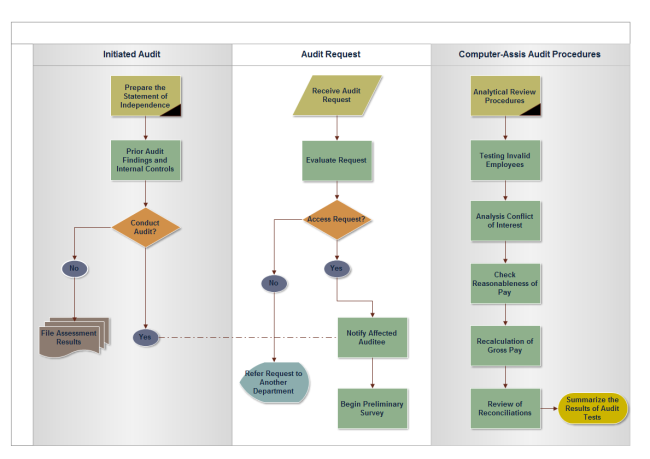 But if your company bought its Office programs individually, you may have no access to visio. 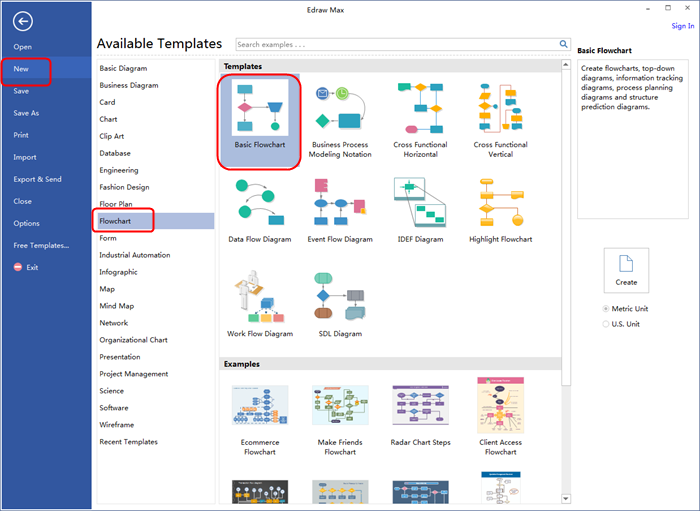 A more affordable program: Edraw Flowchart Alternative to Microsoft Visio would help you create a MS Visio Flowchart effortlessly. This Visio Flowchart Creator allows you to design flowcharts of any complexity on both Windows and Mac OS X . Furthermore, it also support the export of flowchart to MS Visio format to share with MS Visio Users. Moreover, using this Visio Flowchart Creator Software, you can easily open, view and edit a flowchart made in MS Visio, regardless of whether you are using OS X or Windows. 1. Launch Edraw, open a flowchart drawing page. Go to File menu > New > Flowchart, and then double click Basic Flowchart to open a blank drawing page to start creating a Visio flowchart. 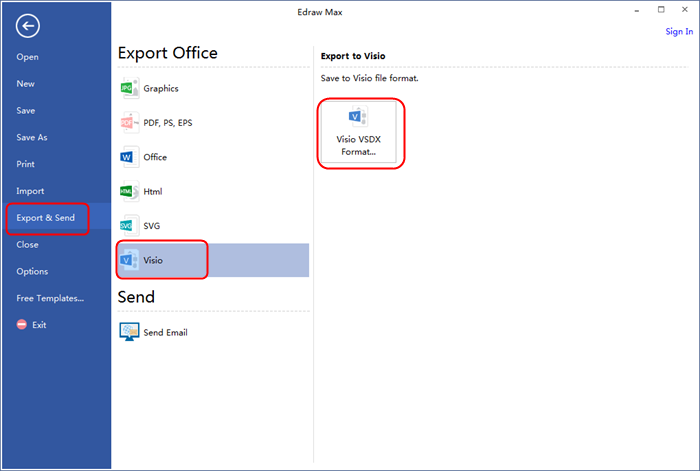 Simply select Export & Send under File menu to export the flowchart to Viso vsdx format.